The Roast House - Spokane — The Wandering Coffee Co.
We’ve been taking our time off from the truck these last couple of weeks, but we definitely haven’t stopped drinking delicious coffee. Just before Christmas we received some coffee from The Roast House out of Spokane, WA. Needless to say we were highly caffeinated (what’s new?) for the holidays. The Roast House sources coffee that only benefits everyone from the farmer to you and me. They understand that knowing the farmers and the farms that the product is coming from plays a huge part in n the overall experience. We got to try three different roasts: Working Elf’s Blend, Guatemala Santa Clara #30, and a Costa Rica Finca la Mirella. 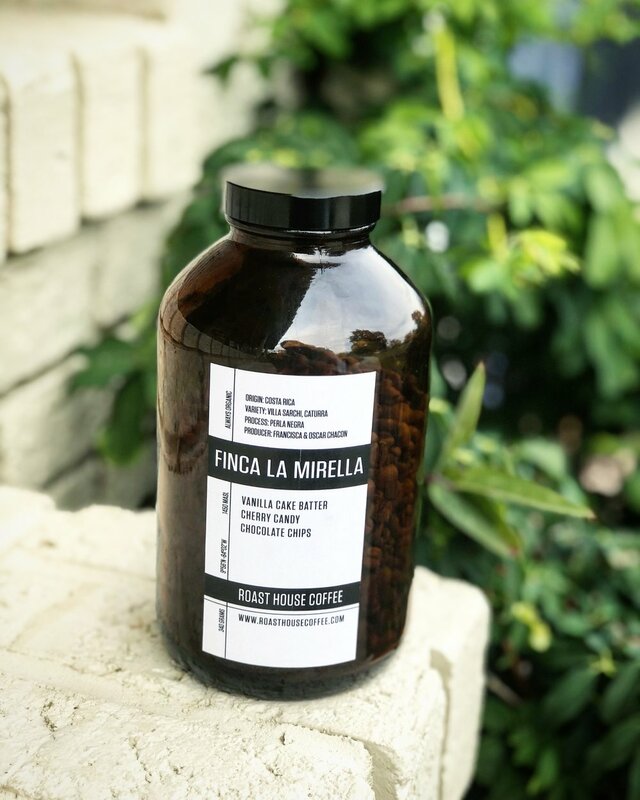 For a Costa Rican coffee the Finca la Mirella was light bodied and citrusy, it lacked some of the chocolate and nutty notes you expect from Central America, but delicious in its own right. 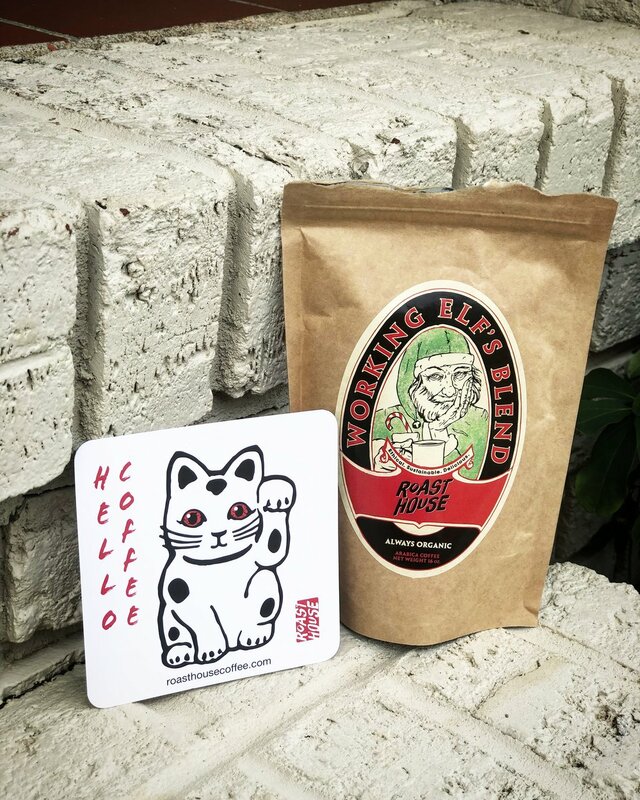 The second coffee of the three we opened was The Working Elf’s Blend, perfect for a couple of parents playing Santa! While this is a limited release for the Holidays, we’ll be sure to keep an eye out for it next season, and you might still be able to order some off the website. It’s a blend of South American and African coffees and according to the package “a little something mysterious to keep you in the spirit”. I really couldn’t put my finger on it exactly (maybeeee nutmeg?) but it wasn’t some over-the-top holiday spice, or anything along those lines. This coffee was full of caramel and chocolate notes, but roasted lightly to bring more sweet notes forward. The taste lingered long after the cup was gone, but in a beautiful way. It also may have lingered because of the multiple cups I drank to get us through Christmas Eve with the extended family, but that’s irrelevant. Finally, we cracked into the Guatemalan Santa Clara #30. I actually just had some more this morning, and thoroughly enjoyed every sip. A blend of Bourbon and Typica varietals, and fully washed, this coffee was fruit forward and full bodied. For coffees in the limited release program, like the Finca la Mirella, the folks at The Roast House are sourcing coffee constantly. Trying to ensure 100% of their coffee is being obtained in an ethical and sustainable way. For their regular offerings they have partnerships in each specific region that helps keep consistent quality throughout the year. Last time I checked all of these coffees were still available through their online store, or if your lucky enough to be in Spokane you could always stop by The Roast House.